Juat combine the dried flowers and oats in a coffee grinder and pulse till finely ground. Transfer to sealable container and add honey and oil. 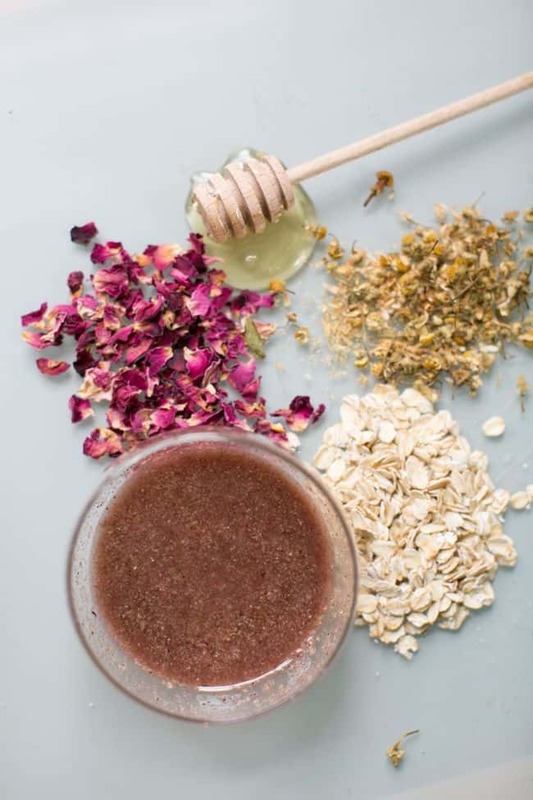 The oats and dried flowers exfoliate while the honey and oil add moisture. Sensitive skin would love this too, just make sure to test a small patch first.